Niftylift has a great reputation for solidly built aerial lifts– and we have them available for you to rent today! Do you have jobs to do that would be easier with the right tools? Maybe a large tree to trim or a new patio to install? Here at Eagle Rentals, we can help you with almost any job with the right rental tools. We have just about everything you need (and even some that you don’t, but will want to use anyway!) for every project around your home, office or other property. We work hard here at Eagle Rentals to get the best equipment for our customers, and that includes using Niftylift equipment. 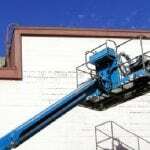 Niftylift is one of the best choices that you can get in terms of aerial lift manufacturing. Not only do they sell their lifts in the USA, but in several other countries as well. Our team at Eagle Rentals chooses Niftylift for their solid and steady reputation of always making the most efficient use of their time and materials while still making a reputable and reliable product. When it comes to choosing an aerial lift for your project in Mooresville, North Carolina, you can’t get a better choice than one of our Niftylift products. At Eagle Rentals, we want to help our customers get their work done in the safest way possible. This includes ensuring that every single one of our customers leaves our lot knowing how to safely operate our equipment, including our Niftylift products. Safety is one of our top priorities at Eagle Rentals, and we want you to have a safe and enjoyable rental experience with our Niftylifts or other equipment choices. To learn more, give us a call at Eagle Rentals today! At Eagle Rentals, we offer affordable Niftylift rentals to residents of Mocksville, Denver, Troutman, Statesville and Mooresville, North Carolina. For over 15 years, Eagle Rentals has served North Carolina with equipment & tool rentals. From construction to lawn & garden equipment, we have it all! Columbia, SC Greenville, SC Augusta, GA Atlanta, GA Asheville, NC Greensboro, NC Richmond, VA Washington, DC Ronoake, VA Cincinnati, OH Cleveland, OH.